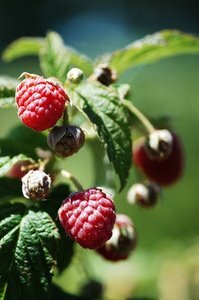 Growing Raspberries - An Easy Fruit To Grow Even By Beginners! 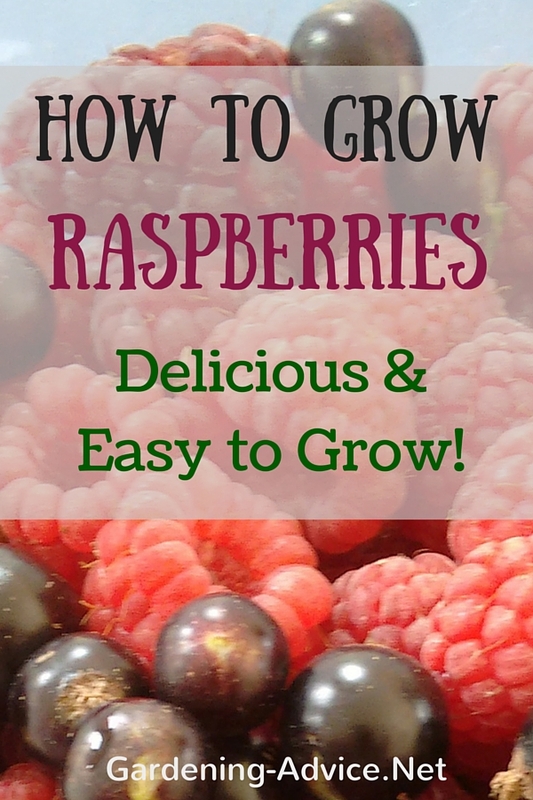 Growing Raspberries made easy! Follow this Gardening Advice on planting and pruning raspberries and choose from these suggested raspberry varieties. It may seem the best reason to grow raspberries will be be the opportunity to bite into them at any time that you'd like. That is not, for many, the best reason for growing raspberries. They do it for the health aspect of it. The raspberry isn't just another delicious berry that you love. It is one of the most healthful berries that are grown. When used in fruit salads or in desserts it is lower in calories, higher in fiber and also offers you some additional health benefits as well. Raspberries are one of the berries that offer you multiple benefits. They are high in Vitamin C, high in Vitamin A, high in Folates, supply antioxidants, and offer you multiple different minerals all in this tiny berry. 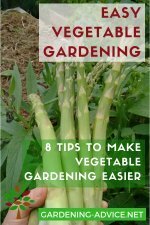 Raspberry canes are found at nearly any garden shop, but you can also take them from a sharing neighbor if you like. Raspberries, particularly those grown from rooted canes, contrary to opinion, are not unduly difficult to grow. They are known to grow wild in many areas and without a great deal of help, do remarkably well. They do need just a little help, but for the most part, you can be growing raspberries essentially anywhere. Some of the essentials for planting raspberries are a good system of trellis, good plant or cane selections and help and treatment that matches the area that you are growing raspberries in. 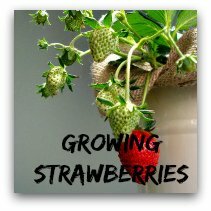 Once you have all the essentials chances are that you're going to be growing great berries in no time. The best variety of raspberries to grow from a home environment will be the ever bearing variety. You're going to have to pay attention to be able to get them all picked but frankly they are a delicious chore that you're not going to mind. There is always plenty for the dessert table and breakfast is a lot nicer with fresh berries. Some of the desserts that you can make include an outstanding trifle, raspberry dumplings, as well as just fresh berries with a trickle of cream. Why Do We Recommend Everbearing Raspberries? Frankly there is an ever bearing variety of raspberries in every color, shape and size. There are multiple types of raspberries. They come in all colors and many different flavors. Do your homework and find out the best variety for your area. Every zone in the United States has a variety of berries that will grow best in it. One great idea we found on the internet was to taste test the berries at a local store or farm and find the ones you like best. Then shop at a horticulture or agriculture office and ask questions. Which are the best berries for your area, why do they recommend them, and who is the best person to buy them from? Select raspberry canes which are rooted and make sure they are certified free of disease to get a great start in growing raspberries. If you're truly a raspberry lover, or you want to sell your products, then everbearing is just the only way to fly. 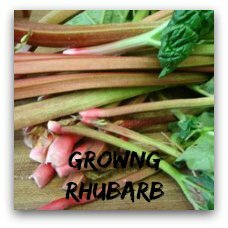 You're able to eat some, offer some for sale, can or freeze for preserving and still give a few away to family and friends. If you grow only summer raspberries, they are just as they say. 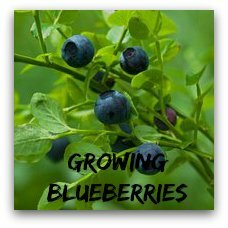 You will get berries in the summer months, and usually for only about a month's time. There will be nothing left usually by the end of July. If you select raspberries that are ever bearing, they will give fruit well into the late fall months, sometimes even into November prior to dying off for the year. Truly gung-ho raspberry farmers will choose both. A few smaller areas of summer berries which will tend to ripen earlier in the year, then the remainder in everbearing so that they have some earlier fruits and heavier producing bushes through the remainder of the summer and fall. A summer variety of raspberry that you'll find to choose which is a wonderfully sweet and plump berry is called Brandywine. Summit - an amazing ruby red variety that will produce from late July into November in areas such as Pennsylvania and New York, while it's been said to produce into December in other areas. Golden is an everbearer which is, as the name implies, a rather yellow shade of everbearing golden raspberry. How Many Plants Make a Raspberry Patch? One thing that you will find with growing raspberries is, that if treated well they multiply like tiger lilies, violets, or anything else you just can't seem to kill. If you plan just five canes this year, then you're likely going to have 25 next year. Runners, produced underground when you're not looking will have you inundated with growing raspberries before you know what hit you. One thing to consider that many people do not remember. 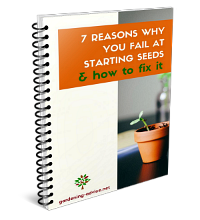 As they spread and multiply, you're going to have to prune them back. A few cracks with a spin trimmer has done the job for us, but if you let them go, you're going to be up to your ears in a patch that you simply can't get through to pick. Give yourself some room to move around in the raspberry patch. 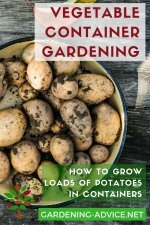 Leave rows, like with any other garden, and leave at least four feet between them so you aren't hung up by the clothing while turning to pick on the other side. Prune your raspberry bushes in late winter or early spring. Cut out fruit canes that cropped in the previous season. Cut them off just above the ground and thin out weak shoots. Aim to leave about 4 to 5 shoots per foot of your row. 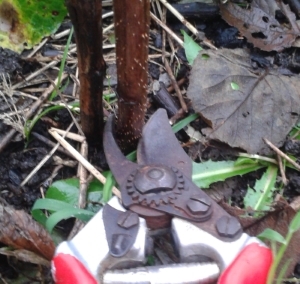 Pruning raspberries is essential to keep your plants healthy and cropping well. Another consideration to think about when growing raspberries is raising the bed. Raised beds in raspberry patches help you go eliminate the one problem that you can end up with, which seems to be root rot. Raspberry plants don't like overly soggy ground and they do end up with problems if they are stuck in wet ground for a period of time in soggy weather. 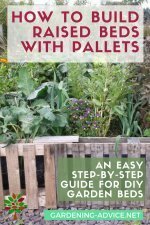 A two foot tall raised bed is plenty of room for your bushes to stay a little drier. 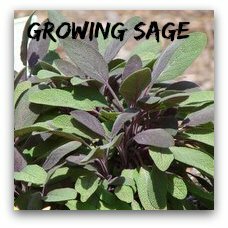 Fill it with good topsoil, but blend it with some sand, about four parts soil to one part sand which is mingled with some manure and peat is best. Raspberries like a less acidic soil as well so if you're in an area that has a prolific amount of hardwoods, you're probably going to find that your berries will give you a better return if you add a little lime. Raspberries tend to be fairly hardy but they do have some limitations. One caution to bear in mind is that to avoid an issue which is known as verticillium wilt you should never plant raspberries in any area where you have grown potatoes or tomatoes. They carry the disease and can spread it to your new raspberry patch. You are definitely going to find that the birds love your new gardening attempts. If you are serious about your berries, draping them with bird netting will stop that problem in a hurry, but many people simply let them take part of the crop.